Size: Theymeasure about 2.2 to 2.8 mm long. Head: Their antennae have 12 segments. How Did I Get Argentine Ants? Argentine ants are an invasive species known for displacing native ants. They are also one of the most troublesome home-infesting pests. 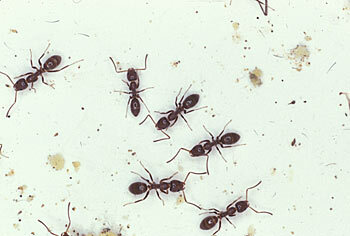 Moist areas, like mulch, under debris on the ground, under piles of refuse and home foundations, attract Argentine ants. When the weather cools in fall, the pests may use gaps and cracks around the house to take shelter. How Serious Are Argentine Ants? Because Argentine ant nests support multiple queens, these pests breed rapidly and create huge colonies that can number into the hundreds of thousand of workers. Drawn to decay and waste, the insects spread bacteria wherever they go. Argentine ants feed by transferring food from mouth to mouth, making baits more effective than aerosol or liquid insecticides. How Do I Get Rid of Argentine Ants? 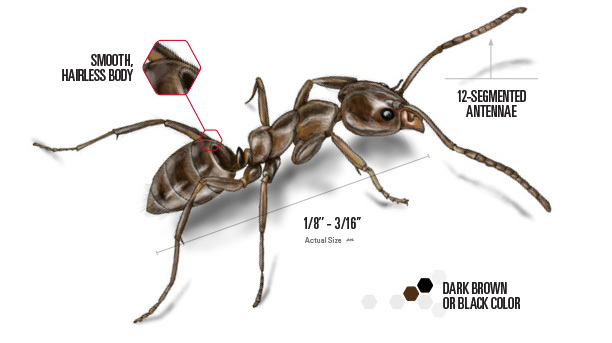 The Orkin Man™ is trained to help manage ants and similar pests. Since every building or home is different, your Orkin technician will design a unique program for your situation. Keeping argentineants out of homes and buildings is an ongoing process, not a one-time treatment. Orkin’s exclusive A.I.M. solution is a continuing cycle of three critical steps — Assess, Implement and Monitor. The Orkin Man™ can provide the right solution to keep ants in their place...out of your home, or business. The foraging trails of Argentine ants are their most visible sign. The trails can be observed traveling up buildings, trees and into homes. Read more about Argentine Ant infestations. Argentine ants are readily adaptable and can nest in a great variety of places. Colonies are massive and may contain hundreds of queens. Nests are usually located in moist soil, next to or under buildings, along sidewalks or beneath boards. These ants travel in trails. Argentine ants are omnivorous, meaning that they can eat almost anything, but they prefer sweet foods. Male Argentine ants hatch from the queen's unfertilized eggs and are fairly short lived. The single function of a male Argentine ant is to mate with a queen to preserve and proliferate the colony. The males usually die soon after mating.